I bought a Dremel 4000 rotary tool about 4 years ago. However, during all that time I had only used it a few times. One of the problems with the tool is that it's kind of hard to be precise when you use it free handed. Then, I saw this awesome video on Youtube a few weeks ago and I thought: "I have to built my own!". The design is very well thought and contains some clever ideas. 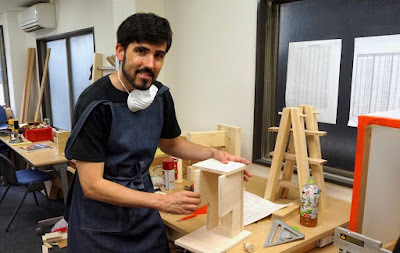 It is also simple and can be made with common tools and materials. I built mine at Kitewa, guided by the experience of its friendly owner Tim. On one side, it is a drill press. 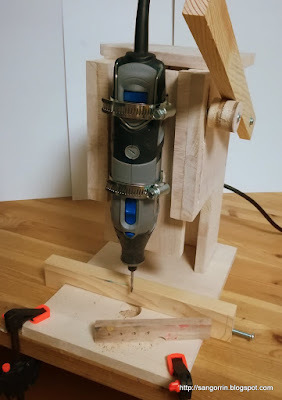 A lever is used to push the Dremel down towards the piece of wood where you want to make a hole. Then, a extension spring connected to the back of the Dremel's board brings it back to its original position. The Dremel tool is hold in place by using two stainless-steel hose clamps. The main body parts are connected through 4mm screws and I used countersinks to make sure the surface was smooth. Another key tool for achieving nearly perfect right angles was the combination square. 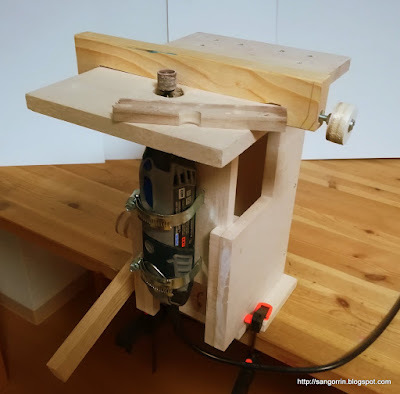 On the other side, it is a router table. The Dremel's board has an insert nut on the right edge that allows us to lock its position with a knob. The groove where the knob slides down was made with the help of a plunge router. The design also includes a convenient fence to ensure that we sand or cut to the specified width. Conclusions: the build took only two days, specially thanks to Tim. 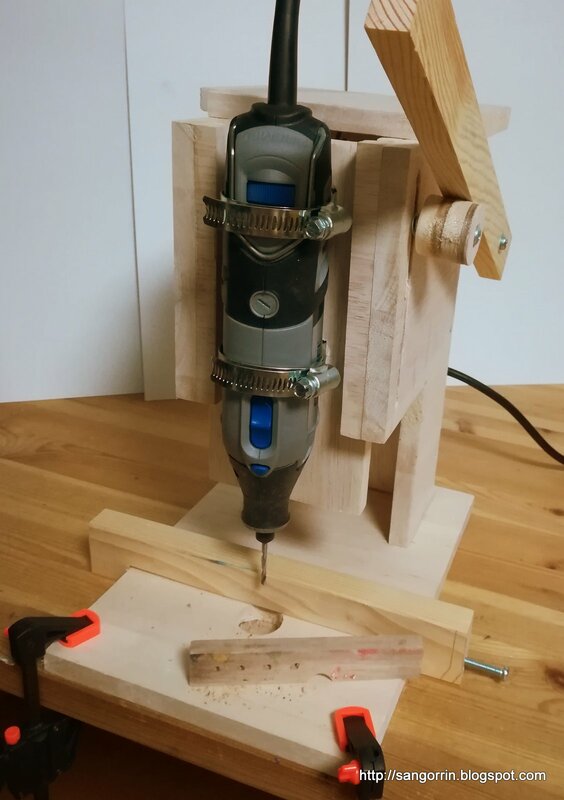 During the process I made multiple mistakes: the wood I used was a bit weak, specially for the base; the first extension spring that I bought didn't have enough strength to bring the Dremel back; and I made some holes in the wrong places. However it was overall a very satisfying learning experience for me.